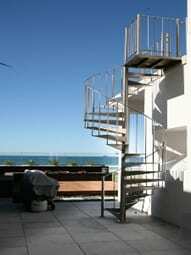 Enzie stairs offers a number of different standard stairs and diameters. In today’s blog post we thought we would discuss the different standard diameters and what each diameter is best suited for. Most of these diameters are offered across all of the Enzie Spiral Stair Series, the exception being the 2400 diameter stair which is not currently offered in the Classic Series. I should note here that Enzie can and do make custom diameter spiral stairs, so don’t be put off if you are looking for a larger, smaller or different diameter spiral stair case than is discussed in this article. The 1500 diameter offers the same riser height as the 1300 and is suited all of the same applications. It must be said that if your space permits a 1500 diameter stair it is more comfortable than its smaller brother the 1300. 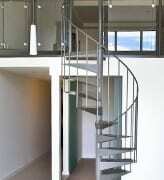 Both the 1750 and the 1880 diameter spiral stair come with a 178-190mm riser height. Both of these diameters have been popular in lofts and apartments, due to the fact that you can comfortably carry boxes and things up and down the spiral stair while not sacrificing precious floor space. 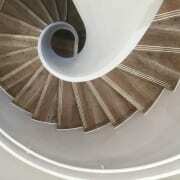 The 2400 Diameter stair is offered in both the Universal Spiral Stair Series and the Z Tread Spiral Stair Series. This diameter offers the ability to install an inner handrail on the staircase and still maintain a comfortable travelling area. The inner handrail gives uses the opportunity of having safe, two way traffic, not available on the lesser stair diameters. 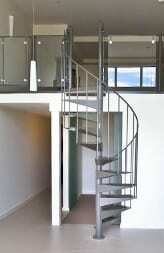 The Helical stair can be designed and made in any diameter so it has not been mentioned above. Allowing for two way traffic this stair is suited to be used as a main stair in your home or even in a commercial setting. The Baton passes from Father to Son. In 2016, Enzie Spiral Stairs not only had a slight name change the running of the 42 year old company seamlessly passed from Bryan Mackenzie (founder of the company) to his son William Mackenzie. While Bryan has maintained a presence in the company, he was always confident that William would be able to handle the running of the business and why wouldn’t he be. William started working part- time in the business when he was three years old, when he was paid 2 cents per pin. Throughout his school years William worked in the factory, on weekends and school holidays wherever he was needed, learning all facets of the business from his father. After going to University and studying psychology and working as a tour guide on the Trans-Sybrian railway. William returned to Australia in 2005 and began working full-time at Enzie stairs in the area of Business development, while continuing to learn all about all facets of the business. So in 2016 when Bryan wanted to go in to semi-retirement it only made sense to hand the reins over to William. One of the first things that William invested in was a CNC machine, making the Pin Cell redundant. Moving forward in the next few years it is expected that Enzie will be investing in a number of new technologies, processes and machines. This is a very exciting time for Enzie, we can’t wait to see what is coming next. Keep an eye out in this space. https://enzie.com.au/wp-content/uploads/2018/12/unnamed-33.jpg 1536 2048 admin https://enzie.com.au/wp-content/uploads/2013/04/logo_enzie_100.png admin2019-01-07 05:16:162018-12-21 01:49:30The Baton passes from Father to Son. 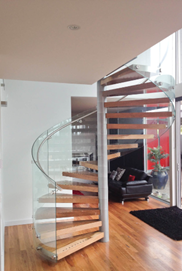 Don’t be fooled there is only one Enzie Stairs – The Leader in Spiral Stairs. 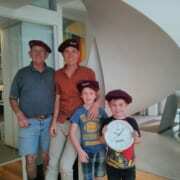 https://enzie.com.au/wp-content/uploads/2014/12/IMG_0465-1.jpg 1536 2048 admin https://enzie.com.au/wp-content/uploads/2013/04/logo_enzie_100.png admin2018-12-13 05:14:062018-12-21 01:50:50Don’t be fooled there is only one Enzie Stairs - The Leader in Spiral Stairs.